Among many other things that have hindered the growth of Zim’s startup sector, lack of capital or funding really stands out. Whether its capital to scale or to get the startup off the ground, there is a serious shortage of both in Zimbabwe. This is partly because there are no solid venture capital firms In Zimbabwe. There are some companies and individuals who claim to be venture capitalist but they can’t really pinpoint start-ups they have funded. Rather, most times they will be offering mentorship than providing funding to the startups- leaving start-ups to their own devices to look for funding. 1. 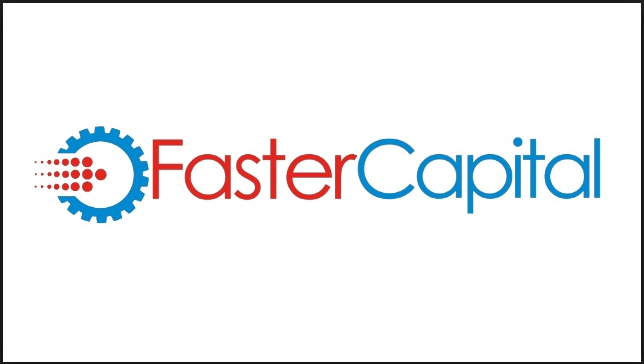 What’s FasterCapital? And what do you guys do? FasterCapital is a virtual online incubator based in the famous Dubai internet city in Dubai, UAE. We have been offering our unique model since 2016. We offer incubation and acceleration services for tech startups globally. We have a special Co-founding and Co-funding business model for startups where we offer 50% funding (minimum USD$10 000 and up to 2 million) for even business ideas to fully functioning tech startups. FasterCapital currently has 20 incubated startups that graduated and are fully functional now, more than 268 startups in the acceleration program, more than 450 regional partners and 216 offices worldwide. FasterCapital has multiple rounds of funding per year during each of which we will be selecting startups that can be accelerated or incubated. 2. How much have you invested in African startups and the world over? As at the current moment we have over $13 million dollars invested in incubation and over 632 entrepreneurs we have supported globally. Through our unique model, we are still keen to support more startups and help grow Zimbabwe’s startup space. Our funding round opened on January 9th and as such we encourage Zimbabwean startups even at the idea stage to apply. 3. Have you invested in startups in other African countries? Yes, FasterCapital has done several investments in startups all over Africa just to mention a few in Cameroon we have invested in Njorku which is an online recruitment firm that also runs a job search engine, in Nigeria we have invested in Buroka crypto exchange which is a is a blockchain project aiming to improve basic financial services available throughout Sub-Saharan Africa. In South Africa we have also invested in Kusasa which is a specialized business processing and financial services partner, providing back office outsourcing from business administration to financial management. These are just a few of the startups among others that we have invested in. 4. When did you enter Zimbabwe? We have entered Zimbabwe effective this year and are looking to set up office within the coming months. 5. Which sector of Zimbabwe’s start-up sector do you want to invest in? At FasterCapital, We are always interested to diversify our portfolio. We accept a wide range of startups. We are always looking for innovative startups that have great market potential, size of the market, ease of marketing, knowledge, and background of entrepreneurs and many more. We are not focusing on a specific industry. We usually accept IT and Internet startups. We are of course interested in domains such as IoT and cryptocurrency. It’s not easy to define a “viable” idea, but yes if the idea is interesting, a business plan is good, monetization is clear then we will consider investing in it. 6. Apart from finance, how else do you help startups that you work with? At FasterCapital we are not just a fund for startups, we are a technical co-founder and as an incubator, we put a lot behind the startup than just money! Our criteria for selecting entrepreneurs is We focus on their business plan and what each of the founders has done in the past. We might interview them and check why did they come up with their idea and how committed they are to it. 7. Is FasterCapital willing to partner with other local organizations? We can offer our services of evaluation and assessment for startups/ideas that are coming to the VC/Investment firm, thus helping in speeding up the process and taking off some of the load in selecting startups. Our assessment can be used and factored in within the assessment by the firm. 8. How can people contact you?